With less than 24 hours to go before the 2018 World Cup takes off, US online sportsbook players are scanning the Match Day 1 matchups to find some ideal betting matchups. 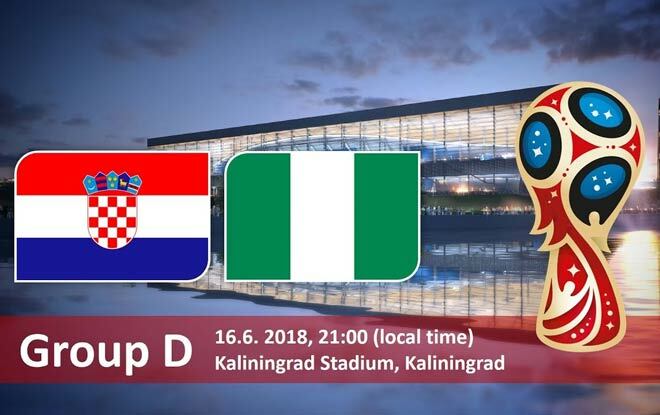 To help a brother out, we’ve decided to take a look at the Croatia vs. Nigeria pairing, set to be held during one of the first days of the tournament. This year’s draw marks Croatia’s 5th into a World Cup. So far, Croatia’s best run came in France 1998 when they managed to finish 3rd overall. The strength of this club lies in their midfield which features the likes of Real Madrid’s Luka Modric and even Barca’s Ivan Rakitic. Undoubtedly, they should be one of the most thrilling squads to watch this time around. This time around, Croatia enters with a bit of a fire under their rears. Since they’ve failed to make it out of the groups stage since 1998, the country is looking to return to their former shape. All in all, Croatia shouldn’t have much of a problem making it out of a group stage in which they are the most talented team. That sentiment also applies to this matchup against the Nigerians. Although Nigeria has never made it past the round of 16, they’ve emerged triumphant in the African Cup of Nations 3 times. The most recent of which was in 2013, when they laid claim to that title yet again. Like Croatia, Nigeria brings great attacking options to the table. Most noticeably Leicester’s Kelechi Iheanacho and Arsenal’s own Alex Iwobi. Iwobi has already played a large role in Nigeria’s success as he was the one that scored the goal that assured their World Cup berth. This will be the country’s 6th draw into the World Cup. They’ll be looking to please the entire continent of Africa. The above listed odds hail from MyBookie.ag sportsbook, one of the better sports betting websites to turn to when betting on the 2018 World Cup. MyBookie.ag has some of the best odds on the market as well as plenty of sign up and reload bonuses to help you make as many bets as humanly possible. No doubt about it, MyBookie.ag will help you get the most out of this year’s World Cup. Feel free to check out our online sports betting review on them to get a closer look at what they offer. You can also hop to their site to make your Croatia vs. Nigeria prediction today! Best Online Sportsbook Prediction: 3-1 Croatia. The Croatians put on a dominant showing against a tough opponent. Best Sportsbook Bet to Make: The money line isn’t favoring Croatia all that heavily making them an ideal option straight up. The OVER on the TOTALs offers a great payout as well.